In this week’s Westfield W-League Week 1 Action, Perth Glory downs Champions Melbourne City 4-1 in Grand Final rematch, non-playoff clubs from last season win the other three matches, defeating two semifinalists in the process. On Friday, October 27, Perth defeated champions Melbourne City 4-1 at home, behind two goals from new American import Rachel Hill (Orlando Pride) and one by Australian international midfielder Nicole Bolger, with all three goals coming in the last 15 minutes. The rematch of last season’s Grand Final attracted 1,308 fans, and saw Sam Kerr (Sky Blue FC) put her hometown club on the winning path in the fourth minute while fellow Matilda forward Kyah Simon replied for City in the 48th minute. American imports Amanda Frisbie (Boston Breakers), Nikki Stanton (Sky Blue FC) and Hill all played 90 minutes as did Costa Rican international Raquel Rodriguez (Sky Blue FC). For City, Seattle Reign imports Lauren Barnes (U.S.), Rebekah Stott (New Zealand), Larissa Crummer (Australia) and Jessica Fishlock (Wales) all played the entire match. Australian internationals and Orlando Pride loanees Steph Catley and Alanna Kennedy also started for City and played the entire match. 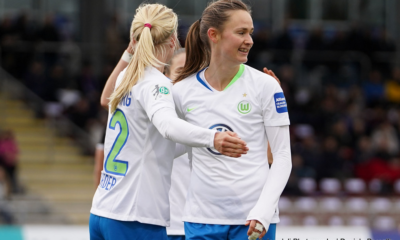 Late signings include 2011 Women’s World Cup Champion midfielder Yukari Kinga (33) of Japan, who scored three goals for Canberra United last season, as well as NWSL Rookie of the Year and U.S. international forward Ashley Hatch of the North Carolina Courage, who also played the entire match. Brisbane Roar opened the 2017/18 W-League season with a statement-making 3-1 win away over Sydney FC on October 27. Brisbane missed the playoffs last season for the first time and Sydney has never missed the postseason. Australian international Katrina Gorry (ex-FC Kansas City) put the Roar in front with a first minute strike and then 23-year-old Allira Toby scored a brace (37th minute and 84th minute) to secure the win. Toby scored as many goals Friday as she did in her first season with the Roar in 2016/17. 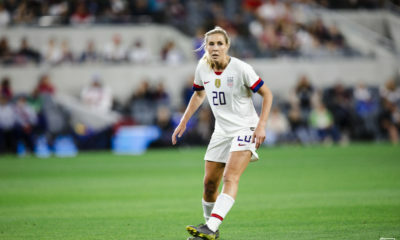 U.S. international Emily Sonnett (Portland Thorns) appeared in the second half and scored from a penalty in the 80th minute for the home side. For the Roar, Australian international forward Hayley Raso and Celeste Boureille (both Portland Thorns) started, with Boureille subbing out in the 90th minute. Carson Pickett (Seattle Reign) also played the entire match as did forward Cheung Wai Ki of Hong Kong, who assisted on Toby’s first goal, as well as team captain Clare Polkinghorne, the all-time leader in games played for the W-League, who once played in Portland. American Maddie Evans, recently retired from Orlando, was not in the squad this week. 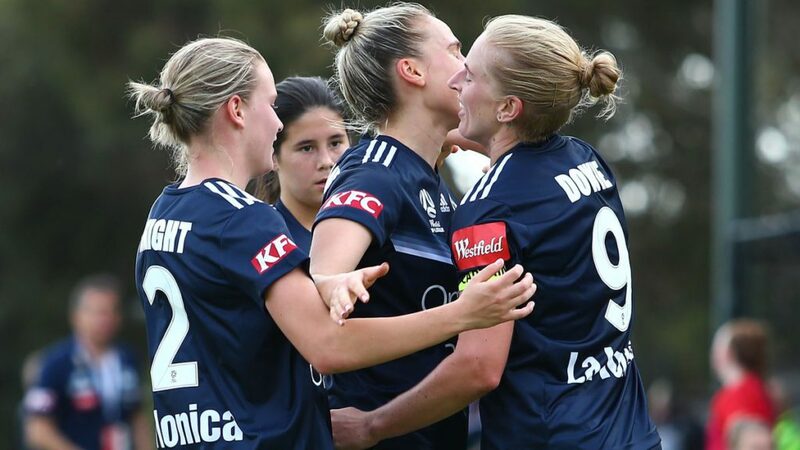 Melbourne Victory used goals by NWSL imports Kristen McNabb (Seattle) in the 6th minute and Natasha Dowie (Boston) just after the hour mark to defeat Canberra United at home 2-1 on Saturday November 28. Michelle Heyman scored for Canberra in the 25th minute. Heyman, the all-time W-League goal scoring leader, now has 56 goals in her W-League career. Among the NWSL contingent for the Victory, midfielder McNabb, Dowie and Christina Gibbons (FC Kansas City) all played 90 minutes in the win while former Orlando Pride Laura Alleway also played the entire match in defense. 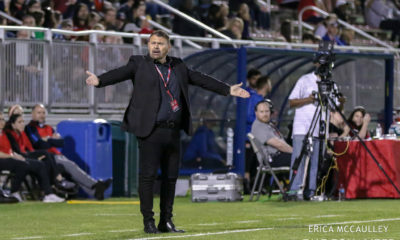 For Canberra, Toni Pressley (Orlando Pride) played 90 minutes in defense and Australian international Ashleigh Sykes was ever present up top, while Haley Kopmeyer (Seattle Reign) played the entire match in goal as did former Seattle Reign midfielder Kendall Fletcher, who retired from the NWSL last season to study in Australia. Fletcher is registered as a guest player and can only play a maximum of 7 games. English international Laura Bassett also played the entire match in midfield. For the Victory, Korea Republic international Jeon Ga Eul is awaiting international clearance. She was on the squad that recently played the U.S. women’s national team this month and once played for the Western New York Flash in the NWSL. She joins from Korean side Incheon Red Angels. On Sunday November 29, Newcastle Jets defeated Western Sydney Wanderers 2-1 at home. Katie Stengel (Boston Breakers) scored the first goal in the 14th minute for the Jets against her former club, who she scored six goals for last season. Erica Halloway tied the match for Western Sydney in the 77th minute before Jenna Kingsley restored the lead a minute later and the Jets held on for the three points. 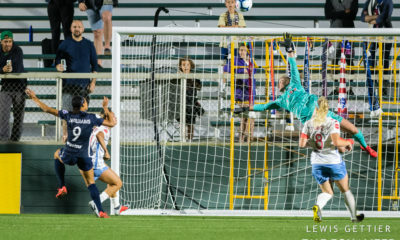 Goalkeeper Britt Eckerstrom, signed this week from Portland on loan and won a 2016 NWSL title with Western New York and again this month with Portland; she played all 90 minutes as did Arin Gilliland (Chicago), Tori Huster (Washington) and Stengel. For the Wanderers, midfielder Lo’eau LaBonta (FC Kansas City) played the entire match as did Dutch imports forward Marlous Pieëte and defender Maruschka Waldus, while forward Lee Falkon subbed on in the 34th minute for Australia U-20 international Olivia Price, who transferred this season cross-town from Sydney FC. Adelaide United had a bye this week but was busy on the signing front. Three Chicago Red Stars linked up with the Reds: midfielder Danielle Colaprico (2 goals) and defender Katie Naughton for their second seasons in Adelaide while Alyssa Mautz joined United after playing for Perth last season. 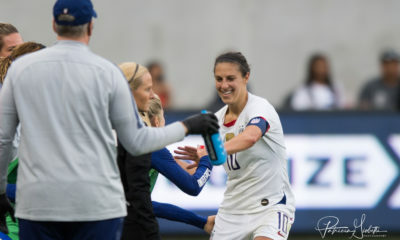 In addition, U.S. youth international forward Makenzie Doniak, who had three assists this season for the North Carolina Courage, is joining Adelaide for her first playing experience abroad.